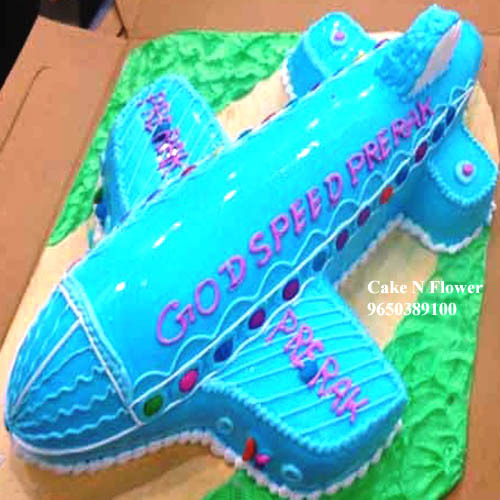 Airplane Shape Cake and treat your friends and family with the amazing flavours This cake comes in a whole variety of flavors like Vanilla, German Chocolate, Jamaican Almonds, Mocha, Tang, Choco Fudge, Chocolate Truffle, Red Velvet, Devils Food and Vanilla Rainbow and serves 15 people. Kindly mention your choice of flavour required in the Gift Message Box. 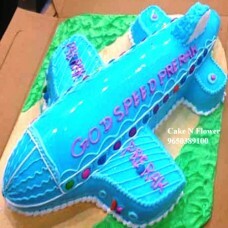 Disclaimer: This product cannot be combined with other gifts or flowers and will be delivered separately. Every cake we offer is handcrafted and since each chef has their own way of baking and designing the cake, there might be a slight variation in the product in terms of design.